In June 2017 I visited Kyiv and two months later Riga and Tallinn. I was surprised how differently these states dealt with the post-Soviet legacy of the Russian language. In Ukraine almost a third of the population prefer to speak Russian, but the languages are so similar that Ukrainian-speakers can to a degree understand Russian without having acquired this language in a formal setting. It is possible to have a meaningful conversation with one interlocutor speaking Ukrainian and the other replying in Russian. What often prevents this kind of suprastandard bilingualism (as the phenomenon was known among Czech- and Slovak-speakers in former Czechoslovakia) is an unwillingness on the part of Russophones to make an effort to comprehend Ukrainian. It is not a matter of language, but of a prejudice that Russian is somehow inherently better, more “cultured and civilised” than the “peasant lingo” of Ukrainian. Similar to Ukraine, almost a third of Estonia’s inhabitants, and over a third in Latvia, use Russian in everyday life. The difference is that both Estonian and Latvian are so far removed from Russian that no ad hoc conversation is possible between Russophones and monolingual speakers of Estonian and Latvian. Estonian is a Finno-Ugric language, cognate with Finnish and Hungarian, while Latvian is a Baltic language. But all who received education in Estonia and Latvia before the breakup of the Soviet Union formally acquired a working knowledge of Russian. All the population aged 40 and over in Estonia, Latvia and Ukraine once learned Russian and are functionally bilingual. 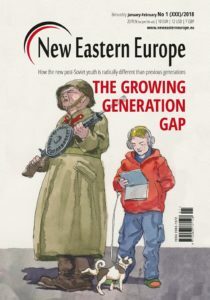 In the case of the younger generations, the preferred second language is English, though German is quite popular in Estonia and Latvia and growing Ukrainian emigration to Poland has increased the popularity of Polish in Ukraine. 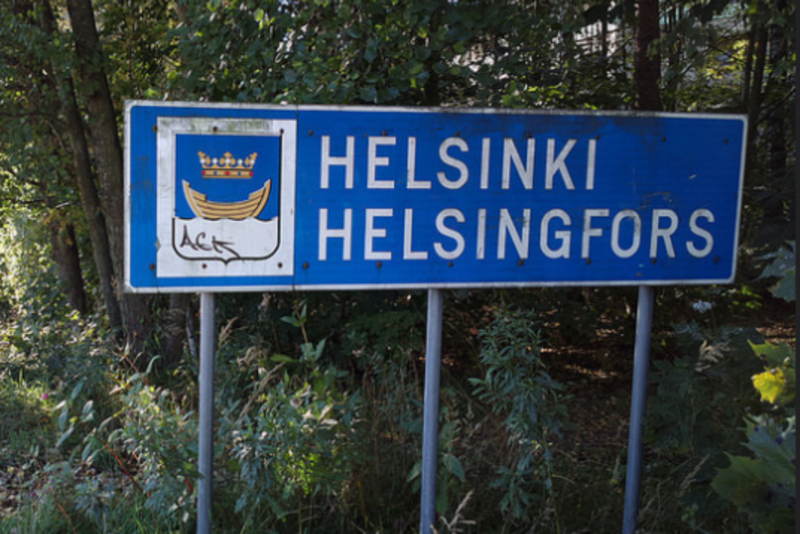 As a result, in their vast majority, the Estonian- and Latvian-speaking youth are unable to understand Russian. 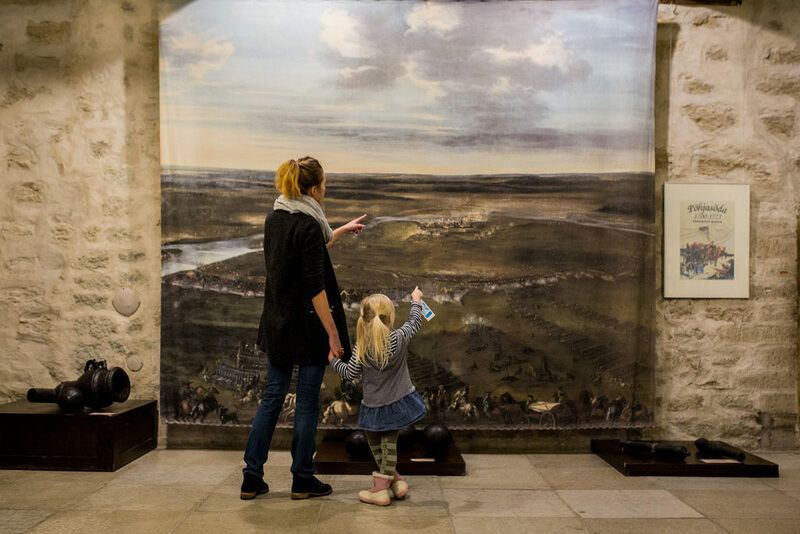 In turn this compels Russophones in Estonia and Latvia to acquire a working knowledge of their official languages or to use English for communication with young Estonian- and Latvian-speakers. In the case of Ukraine the gap in understanding can be easily bridged thanks to the high genetic closeness of Ukrainian and Russian. However, the absolute number of Russian-speakers in Ukraine plummeted substantially following Russia’s annexation of Crimea in 2014 and the war that the Kremlin has been waging in eastern Ukraine. Crimea has over two million inhabitants, while an estimated 3.5 million people live under Russian occupation in east Ukraine. As a result, Ukraine’s original number of about 13 million Russian-speakers was reduced to eight million. The statistics may be also read through the lens of declared nationality. The country’s self-declared (ethnic) Russians, numbering eight million, concentrate in the aforementioned annexed and occupied regions, meaning that at present only three million (or a third of the original number) remain in the territory under Kyiv’s control. The Russian annexation of Crimea and aggression in eastern Ukraine changed the country’s attitude toward the Russian language overnight. Russian bookstores were closed down or restocked with Ukrainian titles, while the Russian-language books were tucked into a section titled “books in foreign languages,” alongside English and French volumes. 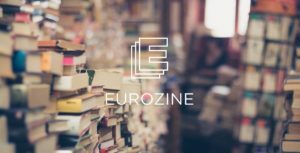 The Russian-language shelf is further curbed by the fact that an increasing number of Russian-language publications are being produced in Ukrainee. The Kharkiv publishing house Folio is leading this trend. Apart from works on current affairs written from the Ukrainian point of view, their publishing list includes Russian-language classics and translations of world literature into Russian. In fact, Folio’s outlet bookstores are the only in Ukraine where the majority of books are still in Russian. But it is culturally and politically Ukrainian-accented Russian. 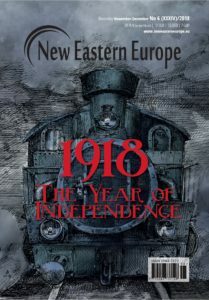 All publications on sale in official bookshops, especially those imported from Russia, are carefully screened not to allow any anti-Ukrainian or blatantly pro-Russian propaganda. Not a single Russian channel is rebroadcast in Ukraine by the state television or any legal private television station or cable network. Ukraine’s own Russian-language television channels cater to the needs of the Russophone segment of the population. The same is true of the press, as Russia’s mainstream media– nowadays the Kremlin’s propaganda outlets – are banned in Ukraine. Instead Ukraine’s own Russian-language press grows. Last but not least, beginning in mid-2017 Russia’s social media and sensitive software produced in Russia are banned from Ukraine as a security risk. On account of Estonia and Latvia’s substantial Russophone populations, Tallinn and Riga have observed the Russian onslaught on Ukraine with growing trepidation. 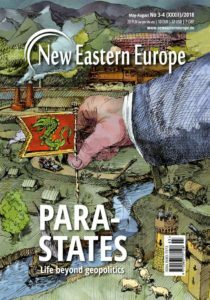 The fear is that Moscow might use the issue of co-ethnics as a pretext to seize the Estonian county of Ida-Viru and Latvia’s region of Latgale, populated by Russian-speakers. This fear makes Tallinn and Riga’s laid-back attitude toward the presence of Russia’s media in Estonia and Latvia more surprising. Unlike in Ukraine, Estonia and Latvia are dotted with Russian-language bookshops stocked with Russian imports. Russian-language sections tend to account for a third of the wares in the leading Estonian and Latvian bookshops. Russian-language bookshops outnumber and dwarf Latvian-language ones in the Latgale regional capital of Daugavpils. 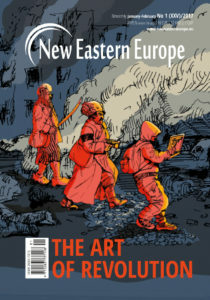 Russian-language titles are not secluded in the section with foreign language books and there is no screening of imported publications, so anti-Ukrainian, anti-European, anti-Latvian and anti-Estonian propaganda is readily available, together with maps, road atlases and references that unabashedly portray Crimea as part of Russia. On average Russian-language press titles amount to half of the wares in kiosks and newsstands across Latvia, and a third in Estonia. In contrast to Ukraine, Russian social mass media and software are accessible and in popular use across Estonia and Latvia, state and private broadcasters retransmit a multitude of Russian television and radio channels. 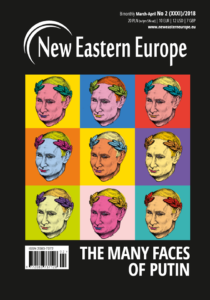 All this done disregarding the fact that these mass media constitute a broad channel through which pro-Russian propaganda is pumped into the heads of Estonia’s and Latvia’s Russian-speakers. Russkiy Mir: What is the Russian World? The Kremlin believes in its own propaganda that all Russian-speakers residing outside Russia are Russians. That Russia is their rightful and desired protector, their spiritual motherland, and that the territories compactly inhabited by such Russian-speakers should be finally redeemed for true Russia. 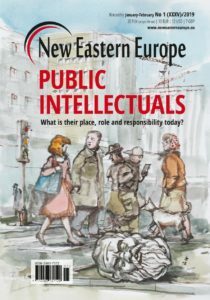 The normative belief that people speaking a language ought to be housed in a single and indivisible state is the staple of Central Europe’s nationalisms, following the post-1918 remodeling of the region’s political. A pronounced exception to this ethnolinguistic nationalism was the multilingual and multiethnic Soviet Union and until recently, its direct successor, the Russian Federation. In spite of the fact that after 1938 Russian was promoted as the classless and communist language of the Soviet people in the function of the interethnic medium of communication. It was so because, at least officially, Russian was seen to be a de-ethnicised language, similar to de-ethnicised English, Spanish or French. Obviously, Russification in the postwar Soviet Union impinged on the country’s other languages. In the case of tens of millions of ethnic non-Russians living in the country, Russian became the first and increasingly the only language of their families in second and third generations. It turned out not to be the promised neutral and de-ethnicised language of interethnic communication, but rather a channel toward the communist Soviet people of the future, which we now know was a tacit shorthand for the ethnolinguistically defined Russian nation. This realisation came about with the ethnicisation of post-communist Russia’s politics under Vladimir Putin’s rule. The first sign of this was the Duma’s 2002 act prohibiting the use of other scripts but Cyrillic for writing and publishing in the country’s indigenous languages in official use. 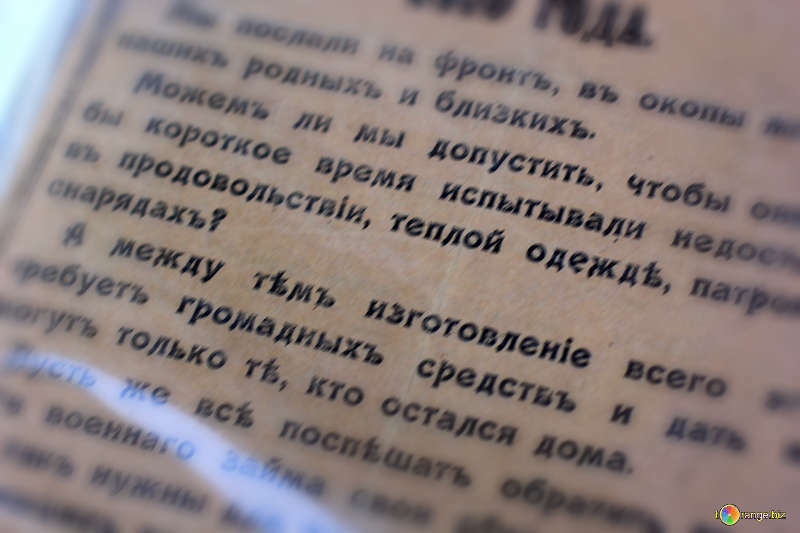 This act was passed to stop the planned switch in script from Cyrillic to Latin alphabet for the Tatar language in Russia’s autonomous Tatarstan. Uninitiated western observers tend to interpret Cyrillic – quite wrongly – as synonymous with the Russian language. Five years later, in 2007, a Russkiy Mir (Russian World) was founded to promote Russian language and culture globally. An institution similar to the Russkiy Mir is China’s Confucius Institute, which was established in 2004. Apart from popularising Chinese language and culture, it conceals the de facto multilingual and multiethnic character of China, while using the country’s soft power to gain worldwide support for Beijing’s One-China policy. This view does not see Taiwan as an independent state, but as a mere secessionist region of China that one day must return, voluntarily or through force, to the motherland’s loving and forgiving fold. From the perspective of the Russkiy Mir, the combined territories of the former Russian Empire and the former Soviet Union constitute the proper territory of true Russia. Some add to this combination the postwar Soviet satellites in Europe, together with Mongolia. In the first half of the 1990s the Kremlin agreed to the exclusion of East Germany, Austria and Finland from its sphere of influence. The first country was absorbed by West Germany, while the two latter ones joined the EU. 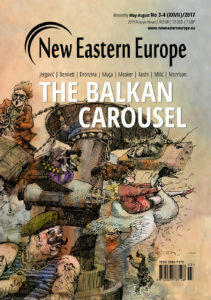 At the turn of the 21st century, much more grudgingly, Moscow agreed that Bulgaria, the Czech Republic, Poland, Romania and Slovakia would join NATO and the EU. All these countries had once been included in the Soviet bloc, but none (with the partial exception of Poland) had belonged to the Russian Empire. However, NATO and EU membership for Estonia, Latvia and Lithuania was difficult for the Kremlin to accept, as all three had belonged both to the Russian Empire and the Soviet Union. For Russians these three states are still an inalienable part of the Russian World; the west crossed the proverbial thin red line. Moscow officially relented and excluded Estonia, Latvia and Lithuania from the purely geopolitical understanding of the 1990s concept of near abroad, though the proponents of the Russian World ideology tend to refer to these three Baltic states as “our Russian Europe”. Europe in this collocation stands for the EU. In 2008 Russia fought a war against Georgia and since 2014 has been fighting against Ukraine to prevent the two countries’ departure from the Russian World. 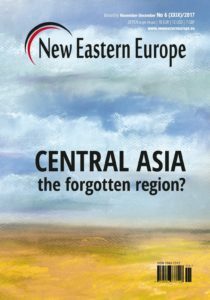 Kremlin propagandists see this as saving Georgia and Ukraine from sleepwalking to the abyss of decadent Europe, irrespective of what wishes the Georgians and Ukrainians themselves have on this issue. Not only were these two polities part of the Russian Empire and the Soviet Union, but their populations and territories combined are larger than those of Estonia, Latvia and Lithuania. Although in population and area Georgia is rather puny, the country separates Armenia from Russia. This causes a geopolitical dilemma, since Armenia is quite a faithful member of the Russian World. The problem with Russia is even greater, due to too big an emphasis on history for legitimising today’s Russian politics and statehood. Ukraine’s capital of Kyiv used to be the capital of Kyivan Rus’, or the medieval polity extending from the Baltic and White seas in the north to the Black Sea in the south. Moscow claims this polity exclusively for Russian history as the early Russia. Hence, Russia’s disagreement with Ukraine is not only about the latter country’s desired integration with the EU and NATO but also about the “true history” of both countries as the proper legitimisation of their existence. From the Kremlin’s perspective Ukraine is not a real country, but an inalienable part of Russia. This manner of political thinking is similar to the One-China policy. The not fully articulated One-Russia policy claims that Ukraine is none other but a rebel secessionist region of Russia. Neighbouring Belarus is also covered by this tacit Russian policy. In order to forestall any Russian military attack Minsk officially supports this Russian thinking about Belarus and Ukraine as Greater Russia’s provinces. 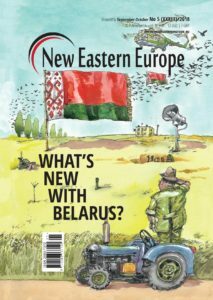 But when it comes to crucial decisions regarding the re-integration of Belarus with Russia, Minsk stalls the process by tactically reaching out to the despised European Union. A full-fledged Russian military conquest of Ukraine is out of question. It would hurt the Russian economy too much. So for the time being the Russian language serving as the working definition of the Russian nation is deployed to justify the Kremlin’s hybrid (read: limited) attacks on Ukraine. 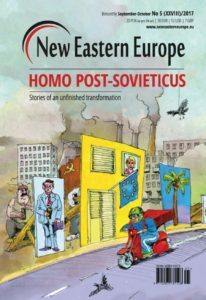 Within this novel framework of the Russian World the not so novel 19th-century ideology of Great Russianism is revived. In line with it Ukrainian and Belarusian languages are proposed to be mere dialects of the Great Russian language. Hence, the Ukrainians and Belarusians cannot be nations in their own right, let alone with any right to their own independent states. At most they are seen to be regional groups of the Great Russian nation. Ukrainians and Belarusians, if they want, they may speak at home their “peasant patois” of Ukrainian and Belarusian, but in the Russian World view true civilisation and culture is attainable solely through the medium of the unique Russian language written in the Russian alphabet of Cyrillic. The Russian World ideology serves as a veritable sword of Damocles that the Kremlin may wield whenever necessary to protect Russia’s interests by acting as a self-appointed protector of Russians (that is, Russophones) in the near abroad. The logic of this politics is in essence imperial and harks back to the 1774 Russo-Ottoman Treaty of Küçük Kaynarca (Kainardzha in today’s Bulgaria). Among others, this treaty gave the Russian tsar the right to protect Ottoman subjects of the Orthodox Christian faith. This privilege was evoked whenever it was suitable for Russia to attack and grab another piece of Ottoman territory. This ideology is a rarely noticed or commented upon imposition on today’s independent states, whose territories in the past happened to be included within the Russian Empire and the Soviet Union. This imposition says, that Russia extends where the Russian language clings. Somehow the west and the countries concerned accept the ethnolinguistic logic of this ideology, with the sole exception of post-Maidan Ukraine. 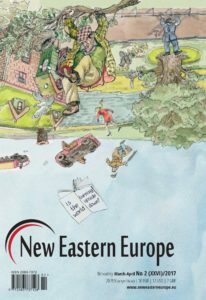 Ethnolinguistic nationalism that equates language, nation and state is seen by all the concerned parties as the norm of political organisation in the central and eastern sections of Europe. Apart from this region, states are built and legitimised on the ethnolinguistic principle only in southeast Asia and in Japan. 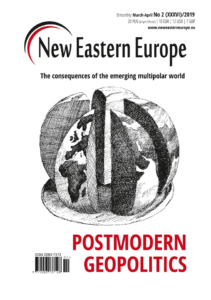 The inflexibility of language as the sole legitimate and practical foundation of Central and Eastern European state-building stems from the fact that these processes have followed ethnolinguistic logic since 1918. Ethnolinguistic nationalism was renewed with much fanfare when in the wake of the post-communist breakups of the Soviet Union, Yugoslavia and Czechoslovakia, all the successor countries (with the rare exception of Kosovo) were constructed as ethnolinguistic nation states. The normative compulsion of this principle was such that it had to lead to the breakup of the Serbo-Croatian language in order to endow each post-Yugoslav nation-state with its own unique national language. All the native speakers of Russian are seen as members of the Russian nation who by this right should be housed in their own nation state of (appropriately enlarged) Russia. In this view the fact that some substantial groups of Russophones have to live outside this country but in areas that border on Russia seems to be a political scandal. A wrong that must be righted by the suitable extension of the Russian borders in order to include the left-alone Russian co-ethnics in their own country. This self-fulfilling theory, if acted upon, allows the Kremlin to legally intervene in the affairs of some neighbouring states. In turn, the targeted states may become wary of their own citizens who happen to speak Russian as their first language. In turn, Russophone citizens of these countries may interpret this official wariness as discrimination, which in their eyes would justify Moscow’s claims that the rights of Russians (that is, Russophones) living outside Russia would not be observed as long as their areas of residence have not been included in (read: annexed by) Russia. The ethnolinguistic logic of the Russian World ideology may lead to conflicts between Russia and the neighbouring polities with substantial Russophone populations. But this is a realistic scenario only if the states and populations concerned continue espousing and acting upon the ethnolinguistic logic of this ideology. This logic, however, can be defused, because – as mentioned above – it is not followed elsewhere in the world, with the exceptions of Japan and southeast Asia. Languages are constructs, as imagined as nations and states are (to borrow Benedict Anderson’s iconic formulation). In the ethnolinguistic nation-states of Central Europe languages are imagined as unitary, indivisible and unique objects with national academies of sciences tasked as the language’s scientific guardians. 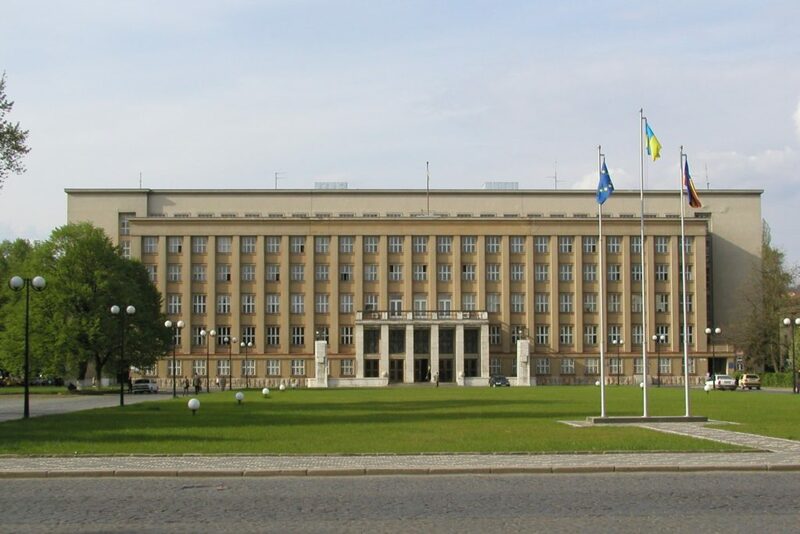 These scientific guardians are nominated and maintained typically by the nation state’s ministry of education, and usually kept close to the seat of power. The principles of correct writing and speech (as decided upon and codified by a given academy of sciences) open access to higher echelons of education, civil service and power if followed, or shut this access fast when one trips over one of these principles. However, as elsewhere in the world, languages can be imagined differently. For instance, what is correct or not is decided by the typical use as shared by the majority of a language’s speakers, there is no need for an academy of sciences to control such a language. Politicians give little thought to their language itself, besides checking whether an intention of a law or administrative decision is clearly and unambiguously expressed in a written document. Rarely does anyone consider that a language of this type could be employed for rallying a population to a cause or for justifying an annexation or war. English, German, French or Spanish are pluricentric languages. Pluricentric languages shared by many states are typically de-ethnicised, meaning that the language in question is not a marker of one’s belonging to a nation or being a citizen of state X. Atypically, Russian is the sole large language, shared by many states that (as yet?) is not pluricentric and de-ethnicised. As it is controlled exclusively by the Russian Academy of Sciences with its seat in Moscow, Russian is a monocentric language. In the ethnolinguistic manner it is nowadays seen as the primary indicator of Russianness, or of belonging to the Russian nation. However, in the post-Soviet political reality, in which Russian functions as an or the official language in numerous states, it is more appropriate to speak of numerous world Russians (the collocation obviously modelled on the term world Englishes), that is, Russian languages in plural. Today Russian is an official language in Belarus, Kazakhstan, Kyrgyzstan and Russia. It serves some official functions in Tajikistan and Uzbekistan. It is a co-official language in some administrative regions of Ukraine, in the de facto states of Abkhazia, South Ossetia and Transnistria, and also in Moldova’s autonomous region of Gaguzia. Moreover, Russian is a de facto language of many cultural and educational pursuits in Armenia, Azerbaijan, Estonia, Israel, Latvia, Lithuania, Mongolia or Turkmenistan. At present in computer menus one can choose many country-specific varieties of English as an input language. The same is true of Chinese, French, German, Italian and even Serbian. But not in the case of Russian, which comes in these menus as a single option with no country-specific variants. Should Estonia, Latvia, Lithuania and Ukraine decide so, the countries may commission dictionaries and grammars of their own specific Russian languages, that is, Estonian Russian, Latvian Russian, Lithuanian Russian and Ukrainian Russian. The difference vis-à-vis Russia’s Russian does not have to be substantial. It can be a two hundred odd words and phrases pertaining to the cultural and institutional specificity of a give country, as in the case of Austrian German. Obviously, if there is such a need the difference may be deeper extending to pronunciation, spelling or syntax. Furthermore, languages can be written in more than a single script. For instance, users of Serbian can choose between Serbia’s Serbian and Bosnian Serbian, and also between Serbia’s Cyrillic-based Serbian language and Serbia’s Latin script-based Serbian language as well. Perhaps, this option of two scripts for a country-specific Russian would not be of interest to Ukraine, because Ukrainian is also written in Cyrillic. However, the official languages of Estonia, Latvia and Lithuania are written in Latin letters, meaning that developing their own country-specific Russians written the Latin alphabet could be of some interest. Such a development would usefully decouple national identity and citizenship from language, so that Russophones in Estonia, Latvia, Lithuania and Ukraine would cease to be hostages of the Kremlin’s neo-imperial policies. As there are many world Russians, there may be equally numerous Russian worlds in plural, interpreted as country-specific Russophone cultures. In this novel situation of the decisively de-ethnicised Russian language, the Kremlin would not be able to use Russian-speaking populations in the neighbouring countries to pursue territorial expansion. On the other hand Estonia, Latvia, Lithuania and Ukraine would not have to be watchful and fearful of the Kremlin when thinking about their own Russian-speaking citizens and residents. The Russian language would no more condemn Russophones living outside Russia to necessarily being members of the Russian nation. At long last they could see the countries of their residence as theirs with no Russian autocrat capable of claiming their allegiance. In turn, the governments of these countries would not need to be ever cautious about their Russophone citizens and residents to the point of doubting their loyalty and perceiving them as potential agents of the Kremlin.